Rediff.com » Business » Has Asean opened the floodgates to Indians? Has Asean opened the floodgates to Indians? The agreement on services, if ratified by all member countries, could prove to be a game changer for Indian professionals in education, healthcare & IT. The free trade agreement (FTA) on investments and services that India recently signed with the 10-member Association of Southeast Asian Nations (Asean) might prove to be a game changer for the country. It has the potential to open up new vistas for the country's teeming professionals. However, it all depends on all the Asean members ratifying the agreement. Ever since coming to power in May, the government headed by Prime Minister Narendra Modi has taken a cautious approach to signing trade deals and has ordered a 360-degree review of all bilateral and multilateral trade pacts as it wants to bring out a comprehensive model for negotiating such agreements. The FTA with Asean last month is the first trade pact inked by the National Democratic Alliance government, though it had been negotiated and readied by the previous regime. For the government, it was necessary not to delay signing the services and investment FTA. One, because delaying the agreement would have cost the government high at a time when its foreign policy is so heavily tilted towards strengthening the 'Look East Policy'. Two, this FTA has been under negotiation for over seven years now. Originally, it was supposed to be signed with the goods FTA, which was implemented in 2010, but it got stuck because Asean members like Vietnam and the Philippines refused to relax the conditions for greater entry by Indian professionals into their services markets. 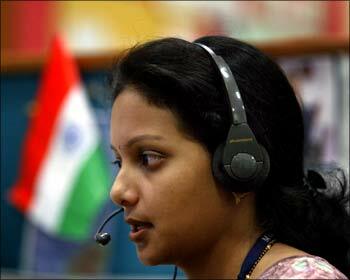 The services sector is India's economic strength - it accounts for about 60 per cent of the country's GDP. The India-Asean services and investment FTA will give a boost to trade relations and, according to Mumbai-based foreign policy think tank Gateway House, allow India to leverage its competitive offerings in finance, education, healthcare, information technology, telecommunications, transport and the movement of professionals. However, Gateway House has also said that the deal has been "elusive" so far with some countries yet to ratify the pact in their parliaments. Asean consists of Singapore, Malaysia, Indonesia, Vietnam, Philippines, Brunei, Thailand, Cambodia, Myanmar and Laos. The official press release after the signing had said: "Nine out of the ten Asean countries have signed the same. The Philippines is completing its domestic procedure and it is expected to sign soon." The agreement was earlier scheduled to be operationalised by July this year. With the delay, it is likely to come into effect only after the Asean-India Summit scheduled to take place in Myanmar next month. "The India-Asean services and investment FTA will supplement the India-Asean FTA in goods and help in getting greater market access for India's professionals in the 10-member block," says Sidharth Birla, president, Federation of Indian Chambers of Commerce and Industry. "We are happy that an annexure on the movement of natural persons has been included in the agreement, which will benefit our professionals." According to the ministry of commerce and Industry, each Asean member has tabled an individual schedule of commitments that are equally applicable for India and other Asean states. India, on the other hand, has tabled three schedules of commitments - one for the Philippines, one for Indonesia and one for the remaining eight Asean members. India also agreed that in order to increase participation of the least developed countries, no additional requests would be tabled to the CLMV countries (Cambodia, Laos, Myanmar and Vietnam). All the three schedules tabled by India are well within the existing autonomous regime of India. Amid all this, the most crucial factor for the successful implementation of the FTA is its ratification by the member countries without which this deal will become irrelevant. "The agreement on services is unlikely to meet India's expectations for the very fact that several Asean members have not warmed up to this development," says Biswajit Dhar, professor in the Centre for Economic Studies and Planning at the School of Social Sciences in Jawaharlal Nehru University, New Delhi. "Many of the Asean members consider India as a competitor and this is particularly relevant for the Philippines, which has already been recognised as the country that has the biggest potential to challenge India's IT and ITES sectors. While the exact contours of the market access opportunities being offered to India is unclear, India needs to be wary of the behind-the-border restrictions that exist among the Asean members." Within the trading bloc, India has separate bilateral trade arrangements with some of the countries, including Singapore, Malaysia and Thailand. All these agreements have not proved useful. With Singapore, especially, the problems have multiplied with India failing to gain much access to that country's market. Dhar adds that issues relating to domestic regulation will have to be taken up immediately if India is to prevent a repeat of its experience with Singapore, which saw Indian banks struggling to establish their presence in that country because of regulatory hurdles. He also underscores the challenge arising from the establishment of the Asean Economic Community for Indian entities seeking to make an entry into the Asean region. The 10 nations in the group are seeking to base the Asean Economic Community on a common set of rules and regulations. While on paper this process would result in streamlining of procedures, the level at which these regulations are established will be of particular interest to India. According to Bipul Chatterjee, deputy executive director of CUTS International, a trade advisory body, the agreement, once fully ratified, will help India in getting better market access in countries where the service sector is growing fast and whose growth is linked with foreign direct investment. Additionally, India is also party to the mega trade pact called the Regional Comprehensive Economic Partnership, RCEP for short, that is currently under negotiation among Asean, India, China, Australia, Japan, New Zealand and South Korea. It is thus all the more important for India to sign the deal with Asean because some of the countries in RCEP are also part of the US-led Transpacific Partnership Agreement, of which India is not a member. "The FTA on services and investment will help India in mitigating some possible negative impacts of this mega-regional pact on its services exports to those countries, particularly Malaysia and Singapore," says Chatterjee. "Because services and investment are negotiated as part of RCEP agreement and India is a party to that, these agreements can act as templates in RCEP negotiations and future bilateral/regional trade agreements of India. Is the Indian FAMILY back in business?